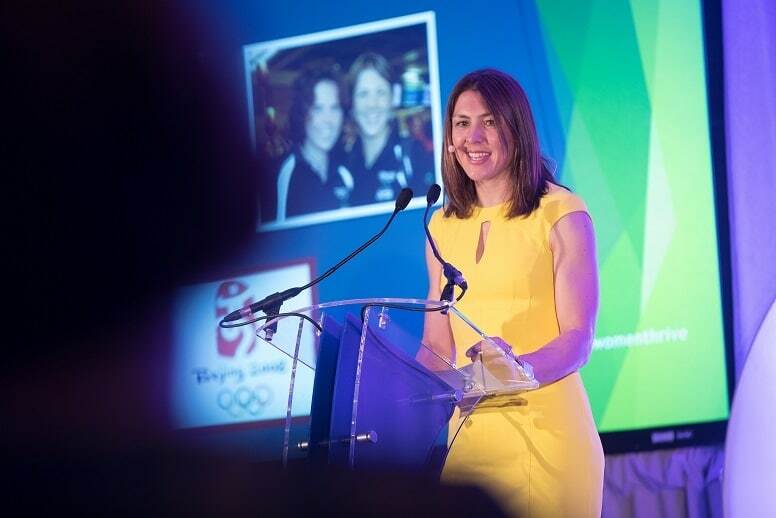 Rower, Sinéad Lynch (nee Jennings) became a first time Olympian at the age of 39 at the Rio 2016 Games. Sinead and her light weight doubles partner Claire Lambe went onto to made history at the Games becoming the first ever Irish female crew to make an Olympic final. Sinead is also a three-time World medallist having the full set of medals, Gold, Silver and Bronze. Sinead is a qualified pharmacist and medical doctor. She is currently finishing her training in GP and has a special interest in women’s health and sports medicine. Originally from Letterkenny, Donegal, she is now living in Limerick with her husband and three young girls, Clodagh, Molly & Hannah. On Sinéad’s 16-year journey to realise her childhood dream of becoming an Olympian, she experienced the highs of becoming World Rowing Champion and the devastating lows of failing to qualify for the Olympics, in not just one sport but two. Along the way there was the decision to change her career from pharmacy to medicine, the birth of her three daughters and a marriage to Olympic Rower, Sam Lynch. And only after defying the odds – and, indeed, the age barrier – did the childhood dream become a reality in 2016 at the age of 39. By sharing her personal story, Sinead can offer insights, real tips and advice on how to build resilience so you too can make your goals a reality. Her unique blend of personal experience, energy, and stories makes her speaking engaging and inspiring.